LOL anyone else have a symbiotic relationship with armadillos? I have a pair of wild armadillos "aka texas speed bumps" that live in the wood pile in my yard. When i go out to the field with my bug light will tail along looking for the same bugs I am trying to catch... If they start digging some where i toss a dog cookie in their direction they almost always grab that and run with it leaving a pretty nice bug here and there. 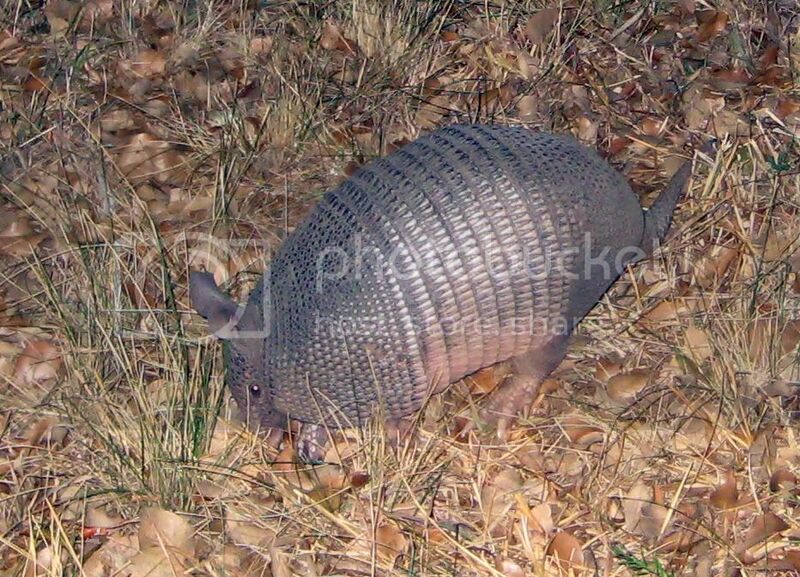 At one point in my life I was really fascinated with armadillos. I don't remember why I never had one but probably at that time I had no access. That would be great to go bug collecting with them! Interests:a lot of stuff, including mantises, lucanus capreolus, saturniid moths, lucanus capreolus, the woods, lucanus capreolus, reddish brown stag beetle, lucanus capreolus, bonsai trees, lucanus capreolus, fire, lucanus capreolus, shapeshifters, lucanus capreolus, ginger ale, lucanus capreolus, and a lot of other stuff. did I mention lucanus capreolus? very cool! i love these guys,they are down here aswell in fla. on occasion i'll see 1 scurring across the road at night,always making sure it makes it to the other side safely. That is such an odd animal, it's hard to believe they live in the US. I've never seen one, even in a zoo. Very, very cool photos and story, Sara! I have seen them a few times, in local parks but not in the neighborhood. I will have to check out their spots next time I go collecting in this park where I always see one digging. I wouldn't mind stealing one of it's bugs. I actually grabbed one (a long time ago) just to check it out, it had many ticks on it and sharp claws, so I immediately released it. I am not fond of ticks or being sliced up, so I will not be catching any more armadillos. I still think they are cute and like how they will let me get pretty close to observe them.